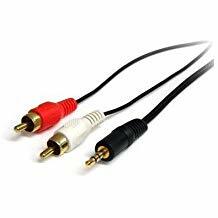 Patch cable: 3.5mm stereo plug to dual RCA plug. 3 feet or 1m length. 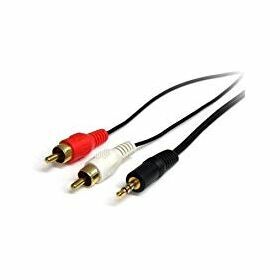 Shielded cable, gold-plated contacts. Stock may vary from photo.